Facebook is attempting to put a rather bruising start to 2018 behind it with a massive advertising blitz. The tech behemoth has recently been accused to spreading fake news and even influencing the 2016 presidential elections. In March, it was embroiled in the Cambridge Analytica fiasco and was forced to admit that 87 million users had had their data misappropriated. 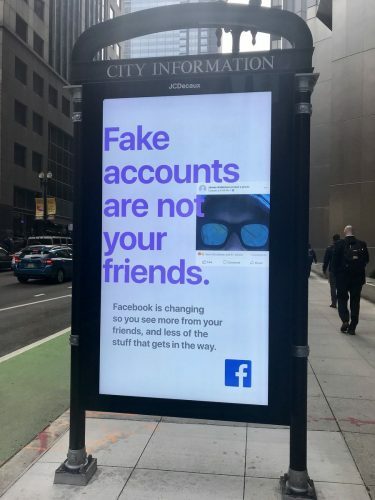 Meanwhile, the OOH campaign will run across the US and will attempt to pacify Facebook users that the company is serious about things like fake news, spam, the misuse of user’s data and clickbait.